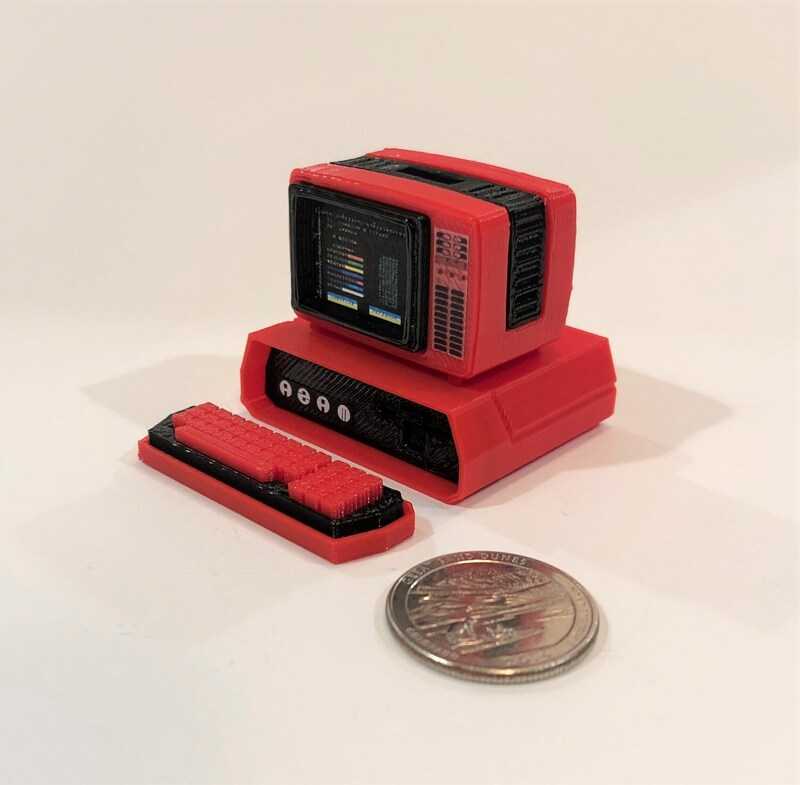 This tiny, 2" Soviet Agat-4 computer was designed using open source CAD software, 3D printed on a Makerbot Replicator, and hand painted and assembled. Includes the computer, monitor, and keyboard. A great addition to your desk or studio. Mini Sinclair ZX Spectrum +2 - 3D Printed! Mini Timex Sinclair TS1000 - 3D Printed! Mini Commodore Amiga A500 - 3D Printed! Mini Sharp MZ80A - 3D Printed!